Mr. Men Little Miss Competition Winner Revealed! Touchdown! We’ve reached the end of our big event guys and gals! Our Mr. Men Little Miss competition has now, sadly, closed. Alas! When one door closes, another opens right? Well, for one lucky entrant it is anyways. So what’s it all been about? 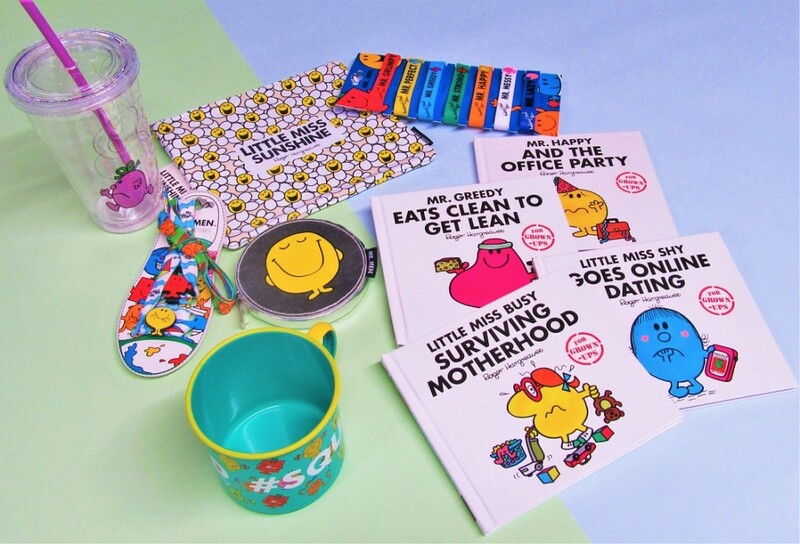 We teamed up with the amazing people at Mr. Men Little Miss to bring you some amazing prizes including their fantastic new books for grown ups which carry titles like; Mr Happy And The Office Party and Little Miss Shy Goes Online Dating. Genius! Not only that, we also included some other goodies to really take this to the next level. Take a peep! Using the nifty Gleam system which has been taking and counting all your entries, we can now dive in an pick out one lucky winner at random. We can now reveal that our lucky winner IS…. To claim, please email us on help@truffleshuffle.co.uk with your details and address. We will get these sent to you right away. Didn’t win? Panic not! These amazing books and goodies are all available to buy. We will also be running loads of comps over all our social pages and profiles. Stay tuned! Previous PostPrevious Black FriYAY! 20% Off Everything Sale NOW ON! Next PostNext Going Bananas for Bananarama! Icons	Going Bananas for Bananarama! Christmas	Black FriYAY! 20% Off Everything Sale NOW ON!